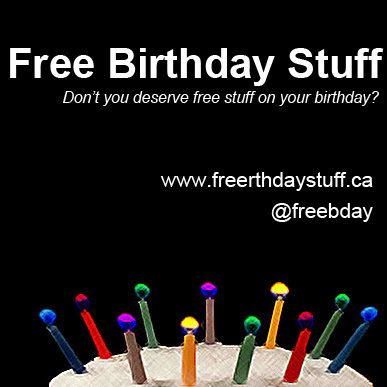 Well, this is certainly gearing up to be the best Celiac Awareness Month ever. 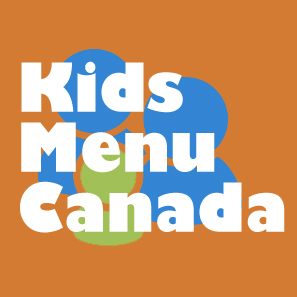 I've never seen so many gluten free and Celiac events being organized in May! 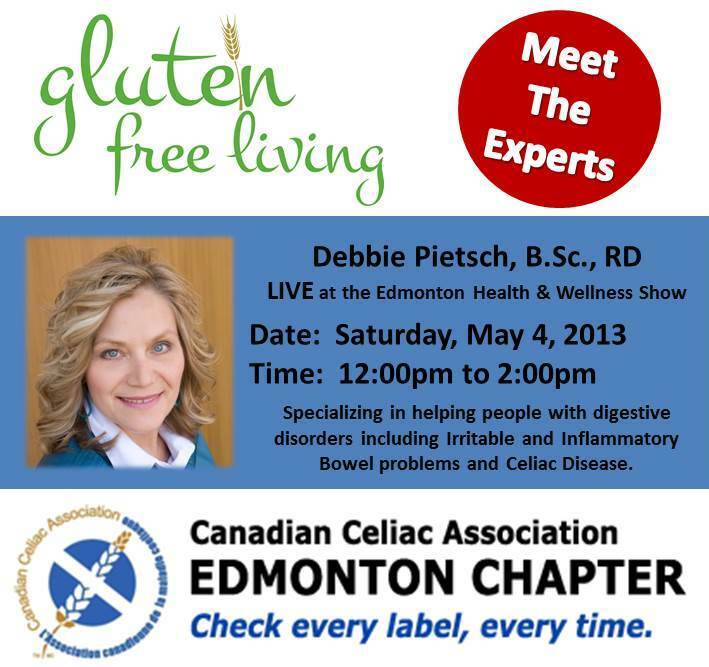 The Canadian Celiac Association Edmonton Chapter will also be on hand including a Meet The Experts Forum featuring registered dietician Debbie Pietsch, B.Sc., RD on Saturday, May 4 from 12:00pm to 2:00p.m. 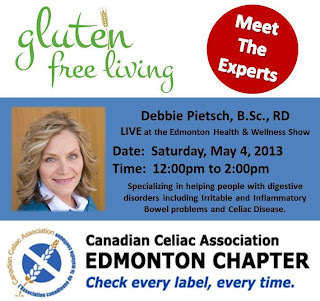 Debbie specializes in helping people with digestive disorders including Irritable and Inflammatory Bowel problems and Celiac Disease.